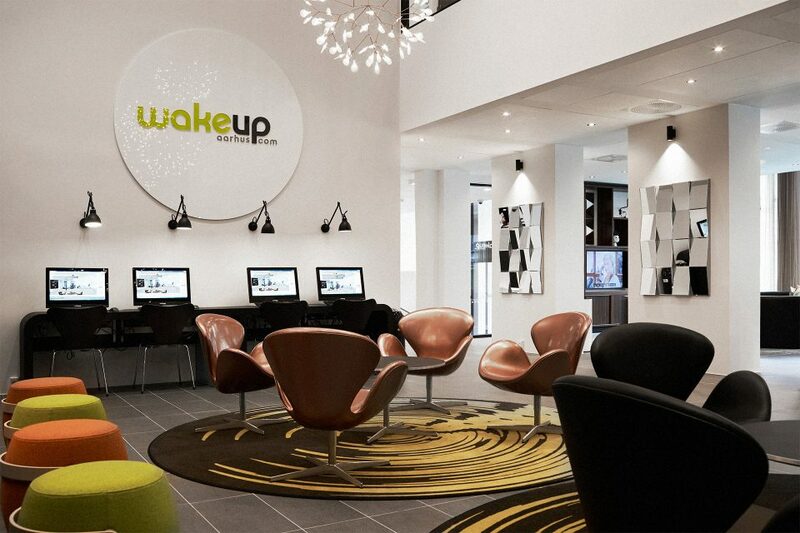 The first addition to the Wakeup concept outside of Copenhagen is Wakeup Aarhus. The hotel is located at M.P. Bruunsgade in the center of Aarhus – with neighbors like Bruuns Gallery, Aarhus Central Station and only steps away from City Hall Square and ARoS Art Museum. The DNA of the hotel is unchanged; the rooms are minimal and functional – the common areas are fresh, exclusive and invites you to relax. By working through the idea of the casual meeting, we wanted the common areas to be an attractor. 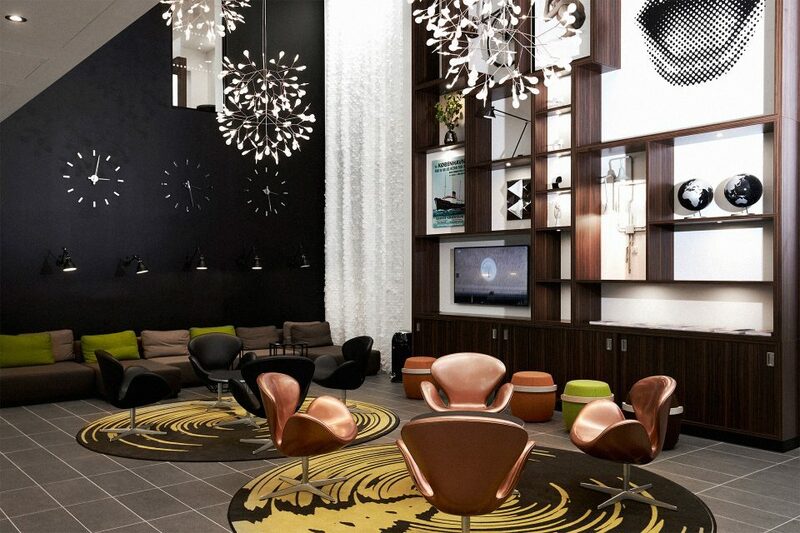 We created small clusters of seating areas to emphasize the coziness in the lounge. 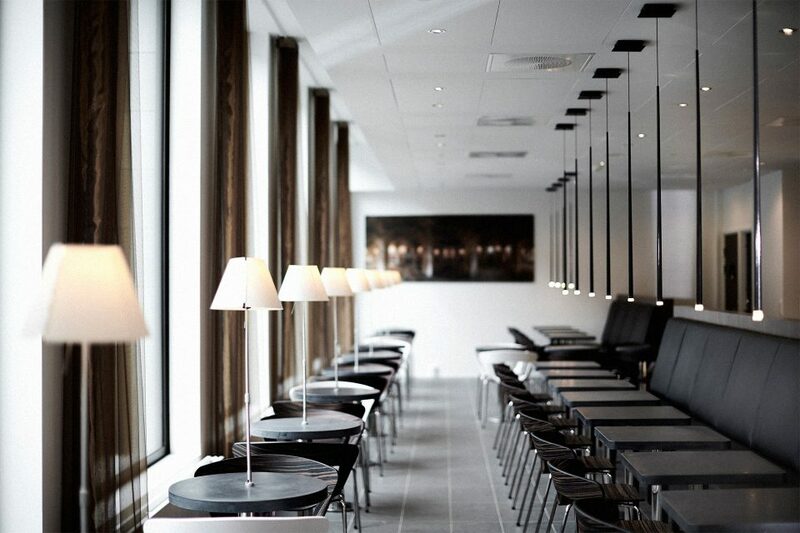 It is possible to work at one of the workstations, sit in the lounge with a view towards M.P. Bruunsgade or take a break on the couch, while watching the news. 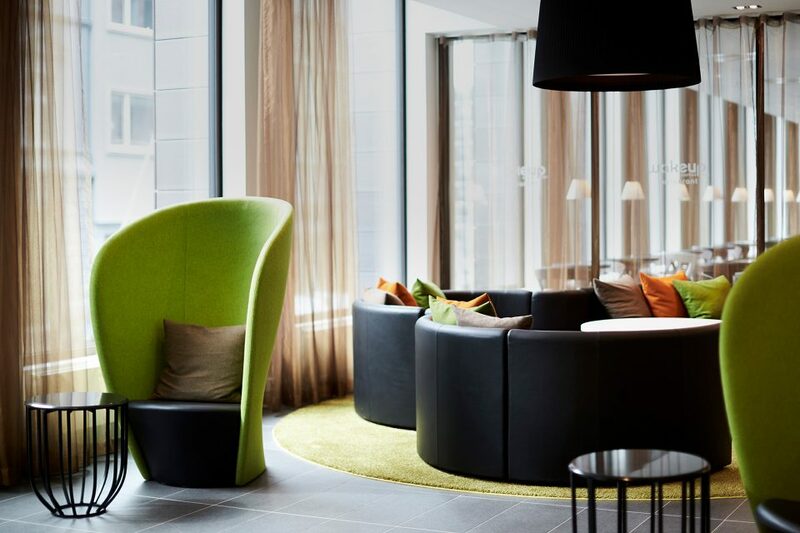 By creating these small environments, guests are exposed to each other – and that creates the informal meeting. The idea has been to push this Wakeup hotel even further on this matter and creating unique spaces within the space. The design and aesthetics are the balance between the classics and the elements of surprise, such as the tall bookshelf in the lounge area with references to Aarhus and Danish design.